Over time, I’ve become fairly buttoned up on Facebook, meaning I don’t post too often. In fact, I’m probably more likely to blog than I am to post to Facebook. I find link sharing more conducive to Twitter and find Instagram a more favorable experience for photos. So, for something to be a Facebook post, it has to hit a sweet spot of needing to be longer than a tweet, shorter than a blog post, and likely more geo-located–meaning that it’s about my job or family and the like. But last week, I have to say I had one of the more positive Facebook experiences in quite some time. As I mentioned in my last post, I just returned from a short work trip to NYC. Part of the trip included a free day for students to experience the city on their own, which meant I had a free day to do as I wished. It has literally been years since I had a day to myself with no work or family attachments. Often times, I’ll sneak away to check out the host city of a conference, but even that is usually sandwiched in between presentations and sanctioned events. This was a full free day and, as such, I purposely committed myself to as little as humanly possible. I’ll be spending the next few days in NYC with some my students. We have built in a little bit of unstructured time, and I haven’t been back in awhile, so please send your hidden gems and must-sees (particularly trying to steer clear of the normal tourist attractions). Also if you are in the area, let me know that too! In total, 13 people tagged 31 locations. Pretty fascinating. For the first time in two years, I actually downloaded the Facebook app on my phone so I could use it over the week to find places to check out. I checked out a handful of the locations friends tipped me off on including Joe’s Shanghai, a little traditional Chinese family restaurant in Chinatown with fantastic pork dumplings. 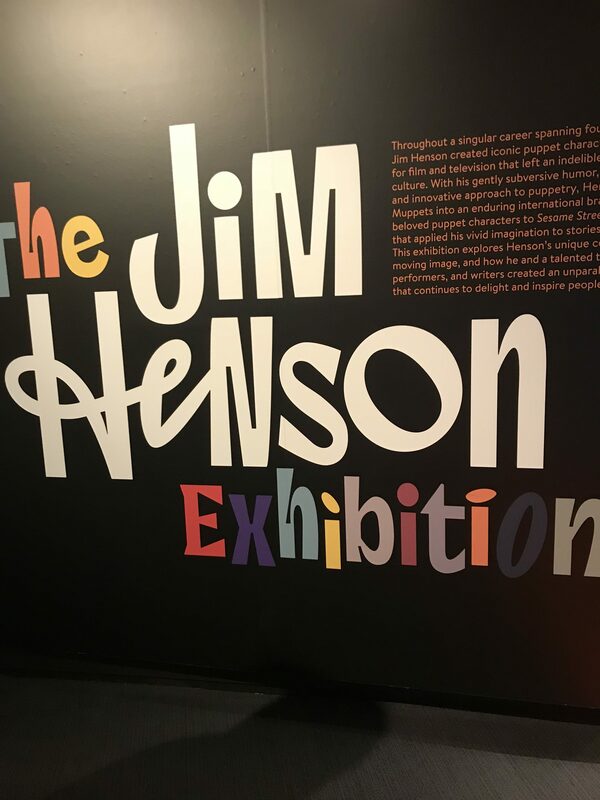 But the recommendation that really jumped out at me was from Tim Owens who mentioned that there was a museum in Queens called the Museum of the Moving Image that currently had a magical Jim Henson exhibition. If you know me, you know I’m all about childhood nostalgia, and the opportunity to experience whatever was to be offered in relation to Sesame Street or the Muppets… Count me all in. So on Saturday morning, I made the subway commute up to Queens to check it out, which was about a 45 minute jaunt from where I was staying in Midtown. First things first: teachers get in free, so I unabashedly showed by faculty card and bypassed the entrance fee (traveler tip!). I started on the top floor where they had an exhibit on sports video games titled “A Whole Different Ball Game: Playing Through 60 Years of Sports Video Games.” Unfortunately or fortunately for me, the day I learned the guitar was the day I put down the game controller and so my window of nostalgic games are pretty limited. I was pretty disappointed in the lack of Super Nintendo games, but I did find Blitz 2000 on N64 and picked the only team I ever picked: Denver Broncos. Myself and my best friends John Elway, Shannon Sharpe, and Terrell Davis took on the Mighty Dallas Cowboy. A very unnecessary side note: The 1999 Dallas Cowboys had four HOFs (Troy Aikman, Emmitt Smith, Deion Sanders, and Michael Irvin). It really is painful how little they were to capitalize on their roster after the 94-95 Super Bowl win. Anyways, in true Blitz fashion, I won a squeaker by going for it on a two-point conversation. Still got it. I went down stairs and right in front me was The Jim Henson Exhibition in all of its glory. The exhibition is setup in chronological order. I noticed a tour was taking place and I jumped in like I knew what I doing. As a lover of both media and education, it’s hard to not like Sesame Street. Excluding my parents and overall genetic makeup, nothing played a larger role in my early adolescence than Sesame Street and Mister Rogers. Seeing original “big three” puppets in all their primary color glory was nothing short of wonder. This was also literally the day after Carroll Spinney’s, who played Big Bird and Oscar the Grouch, last show aired, which was fun timing. Then there is what I would consider (as if anybody is asking me) the pinnacle of Jim Henson: the Muppet Show. A highlight was seeing the bride Miss Piggy from the Muppet movie where she and Kermit get married. And, of course, seeing Kermit, who Jim Henson is most connected according to my very thorough tour guide. There was also a smaller section on Labyrinth and The Dark Crystal, which mainly focused on Henson’s foresight to abuse large production budgets on developing puppet robotics. After leaving that, there was a portion of an exhibition on movie makeup and prosthetics. Mannequins actually happen to be one of my biggest fears, but I couldn’t NOT snap a pic of a couple of these 90s icons. All in all, a really neat find thanks to my man Tim Owens and (reluctantly) Facebook!